While we’ve yet to witness the abundance of Thunderbolt-enabled peripherals (they are coming, though), accessory makers have finally begun churning out interesting products for getting some mileage out of your Thunderbolt Mac. We spotted mLogic’s mLink this past weekend and love it a lot. The $399 box, SlashGear explains, hooks up with your Mac via a Thunderbolt port and acts as an external chassis that lets you connect PCIe cards to any Thunderbolt-equipped Mac, just like Magma’s ExpressionBox 3T. They also launched mDock and mBack accessories. The mDock, aimed at mid-2009 or later MacBook Pros, includes either a 2.5-inch Time Machine-friendly 500GB or 1TB SATA 5400rpm hard drive, port extender and port blocker. Of course, you can add additional storage by attaching your own external drive via front-facing USB ports. The accessory replicates all of the ports found on the side of your notebook, including MafSafe and mini DisplayPort for hooking up external monitors. Its USB ports provide 10 watts of power for charging the iPad and the box doubles as a standalone charger when not docked. Pity it lacks a pass-through Thunderbolt port. The mDock also neatly routes cables to the back, an important feat for the people in the never-ending pursue of the clutter-free desktop. The mBack includes the mDock’s storage functionality (via a 3.5-inch eco-friendly, quiet operation drive) and Time Machine compatibility minus the ports. 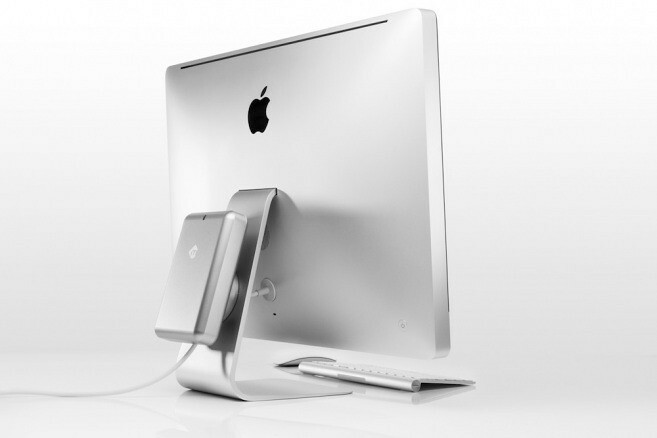 The storage device attaches to your computer’s mount and is made of aluminum to complement the iMac’s design. The mBack supports 20- and 24-inch iMacs from mid-2007 to early 2009 and 21.5-inch and 27-inch models from late 2009. It also works with the Apple Cinema Displays and Apple Thunderbolt Display. 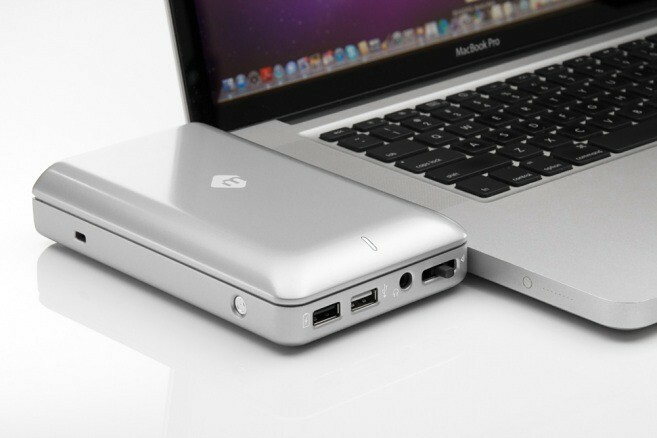 The mDock costs $219/$299 with a 500GB/1TB hard drive and the mBack will set you back $169/$209/$349 for 1TB/2TB/3TB. No word on availability of these products at press time.